The Fatquarter Shop is hosting a fun quilt along starting July 8. I've been asked to sew along with a fantastic group of quilters using the new Little Joys fabric by Elea Lutz. You can read about all the details on the Fatquarter Shop blog. 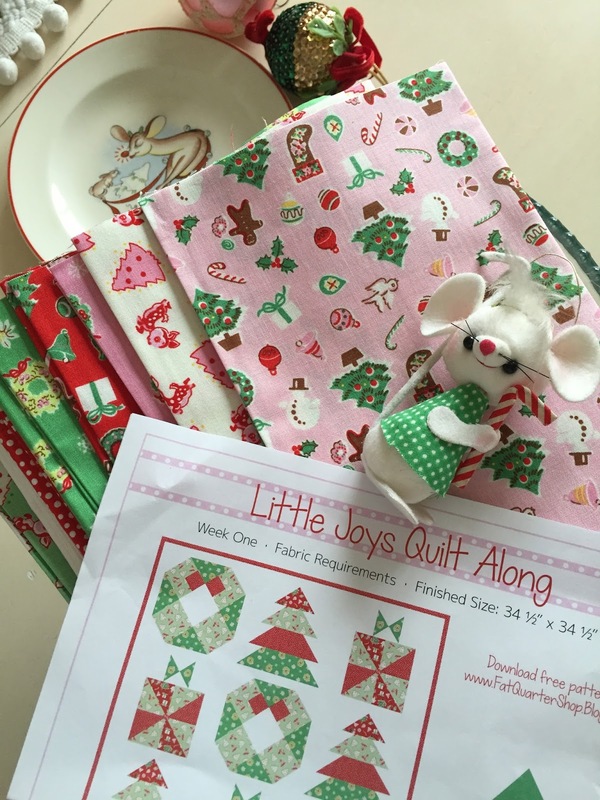 It's a great time to get started on your Christmas sewing so you aren't scrambling, like me, in December. You can order a kit of the new fabric line or use fabrics of your own choosing. I hope you will join in the fun! Perfect for you Renee. When I first saw that fabric line I thought of you. Sew fun. It certainly is beautiful fabric.